You're live! Awesome work... So... what happens now? 1 - Tell all your regulars! Once they're set up with a valid credit card entered, they'll be able to search nearby outlets, find yours, and add you as their first regular! 2 - You receive their order! Get them to try it out (or try it out yourself). 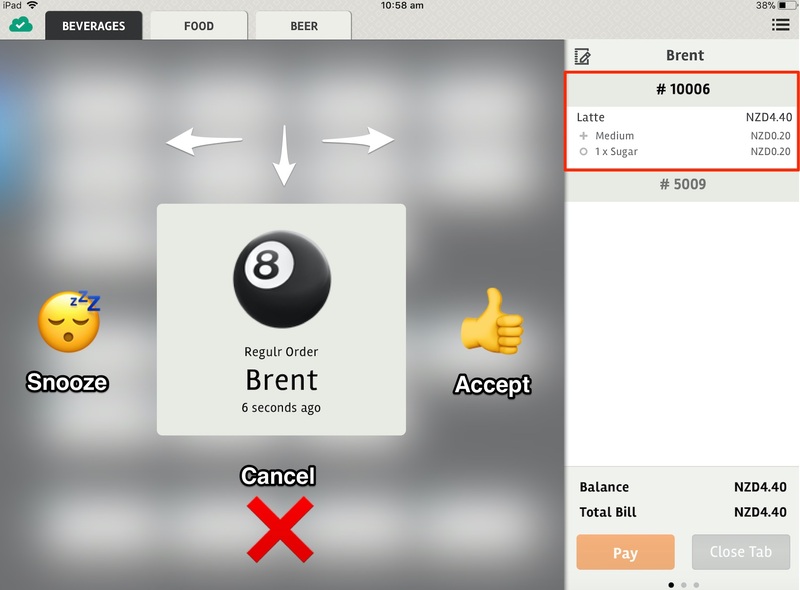 Orders will appear on the till you set up as your Order Receiving Device. Make sure this till is manned or checked regularly as you don't want to miss one. On the right, the details of the order along with any notes will appear. ...which is where you accept, cancel or snooze the order by dragging the square to the appropriate emoji, then releasing. One thing to note: if you are in the middle of a transaction, the Regulr order will not appear until you have paid or closed the tab. Be careful not to leave an unfinished order on the screen. 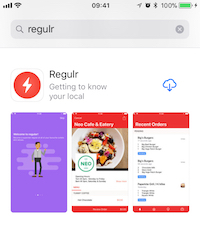 👍- Accept: Automatically prints the order and sends a notification to the Regulr customer. 😴- Snooze: Removes the order from screen and allows you to process your next order/transaction. Once complete, the Regulr order will return. ❌- Cancel: Removes the order from the screen and notifies the Regulr customer that the order was unsuccessful. From here, you go about your normal business and prepare the order ready for pickup. The order is automatically assigned to their account in the posBoss app (the account is created when they first order). 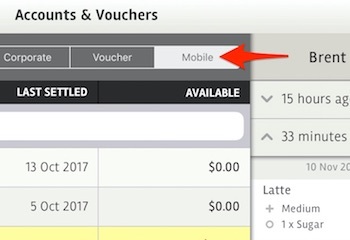 There is now a new section in accounts called Mobile, where the Regulr accounts will appear. Customers can pop into the outlet and pay off their account any time before Sunday or leave the bill to be paid automatically every Sunday via their credit card. On the Dashboard, you will see a new section showing your Regulr sales. For your financial reports, head to Stripe!